For years, pharmaceutical companies have been pushing to get as many Americans as possible on antidepressants and other psychiatric medications. But this might be their most devious trick yet. There is a major “public health” campaign underway to get more people talking to their doctors about mental health issues. But the entire effort is being secretly funded with millions of drug company dollars you were never supposed to know about. And what this campaign is really trying to accomplish could put you and the people you love right in harm’s way. The only problem is that campaign wasn’t formed to really help people. It’s all about selling drugs, lobbying for laws that will sell more drugs and getting pharma’s foot even further inside the FDA’s door. 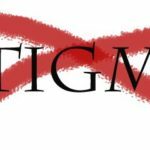 The Stop the Stigma campaign originated from an organization called the National Alliance on Mental Illness (NAMI). And if you go to the NAMI website, it says that the group is now the country’s “largest grassroots mental health organization.” One that started with concerned families meeting around a kitchen table! You can’t get much more grassroots than that, right? But it turns out that NAMI has been seeing more green from Big Pharma money than from grass. It’s been funded to the tune of over $41 million drug-industry dollars. Top donor Eli Lilly forked over close to $3 million, most of which was to run the marketing campaign to “end discrimination” against those with mental illness. Translation: Get the insurance industry to lower the bar in labeling someone as having a mental illness to keep those prescriptions rolling for even more patients. Then there’s the Anxiety Disorders Association of America. This pharma-subsidized group (Pfizer, GlaxoSmithKline and Eli Lilly are major players) calls one of its “achievements” getting “anxiety disorders” into the Diagnostic and Statistical Manual of Mental Disorders as a genuine mental illness. In the next five years almost $900 million was plunked down on sedative-hypnotic drugs for anxiety. Nine years later, sales were off the charts for these meds at $1.2 billion. And there are scores of other pharma front groups, such as the American Foundation for Suicide Prevention, Children and Adults with ADD, and Mental Health America, to name a few. In fact, all those “grassroots” started growing over 30 years ago as a way for doctors and researchers in the National Institute of Mental Health to have a more effective way to lobby Congress and get more funding. Fighting a federal law that prohibits schools from forcing parents to drug their kids with ADHD meds in order to attend class. Opposing the FDA’s black-box warnings about the suicide risk of antidepressants for children and teens. Opposing warnings on ADHD drugs about how they can damage the heart and cause strokes. Supporting mental health screenings for all school kids. That’s something that would immediately translate into billions in drug sales. And a lot of what we know about these groups comes from U.S. Senate investigations into how these organizations operate. That’s where we learned that in just a two-year period, Big Pharma gave NAMI $23 million. And to think they’re also asking us to open up our wallets for them, too! Certainly, we need to stop the stigma of mental illness. But we also need to stop Big Pharma from being able spend millions to support its agenda from behind a closed curtain.